Quality Syracuse Powder Coating at to Rick’s Wheels. Located in Syracuse, New York, we have been serving the powder coating and finishing needs of commercial, industrial and fleet customers since 2001. We are known for our top quality finishes and the highest quality powder coating in the Central New York region. 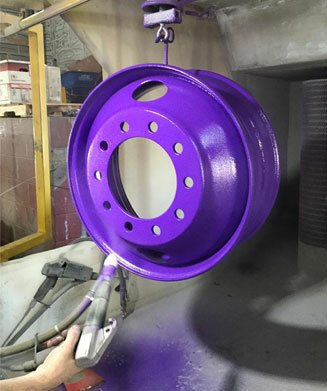 Whatever your powder coating requirements, from commercial powder coating to powder coating wheels and rims, hotrods and motorcycle parts, fences and gates, patio furniture, decorative railings and more, Rick’s Wheels does it all. We specialize in small to medium batches with quick turnaround and superior customer service. Powder coating is the preferred metal coating and finishing choice providing tougher, more durable, longer lasting finishes than traditional spray painting. 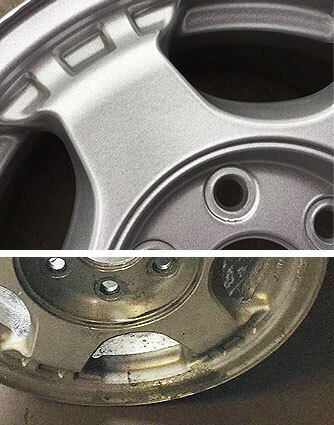 Powder coating protects the metal, provides a beautiful, long lasting finish, and extend the life of your wheels, rims, and products. Powder coating won’t chip or fade, and lasts for years, providing enviable cost savings over the life of the product, making it the smartest, most affordable finish for wheels, rims, frames, outdoor furniture, fences and virtually any aluminum, steel or wrought iron product. Why Choose Powder Coating? Simply put, powder coating is stronger, better, longer lasting, and more environmentally friendly than paint. It is hands-down your best value over the lifetime of your product. When it comes to protecting and extending the life of your product, it is a virtual “armor coating,” protecting it from heat, scratches, wear & tear, extreme weather conditions, and corrosion.